When the Earl of Warwick became Lord of the Manor of Sutton in 1126 he was allowed to have his own court there where he could try minor cases including infangthief (Sutton thieves) and outfangthief (outsiders). Most of the business of the courts was presented by the court officials and dealt with by fines - for example, in 1416 the tithingmen of Wigginshill and Walmley reported that Alexander Ireland had been injured in a fight with John Othehurst, fined fourpence. The tithingmen, Robert Sponer and Henry Hemery, admitted that Robert Sponer himself had attacked Thomas Perkyns, so the court fined him 2d. King Henry VIII’s Charter of 1528, which established Sutton as a self-governing town, conferred the power of holding courts (still including infangthief and outfangthief) on the Warden and Society (that is, the corporation) of Sutton Coldfield. The Warden and Society were empowered by the charter to have a gaol where suspected offenders could be imprisoned pending trial. The gaol was on the ground floor of the Moot Hall built, at Bishop Vesey’s expense, at the junction of High Street and Mill Street. No doubt John Harman saw the inside of this gaol in 1567 - Thomas Careless the Constable for that year had apprehended him, but he escaped and ran away, only to be arrested again at a later date - Harman was fined ten shillings. Usually anyone put in gaol would appear the following day before the Warden who acted as a magistrate; there are eighteenth century records of the Warden ordering minor offenders to be placed in the stocks or whipped at the whipping post, but serious offences were referred to the Warwick assize court. By 1800 the Constable and his men had the use of a lock-up in addition to the gaol, a place where drunk and disorderly troublemakers could be locked up for a few hours to sober up before being charged. The lock-up, in Coleshill Street, was only in use for a few years; it later served as a storeroom for the Old Sun public house which stood nearby. 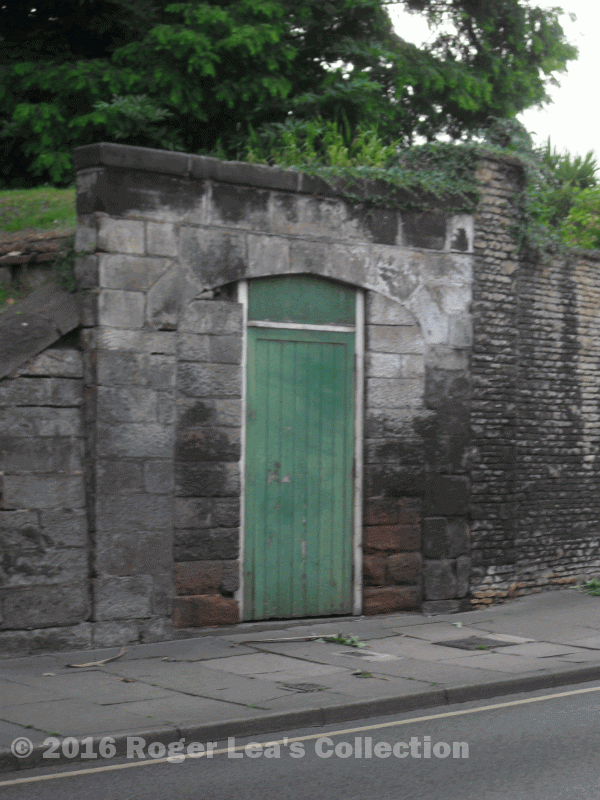 the old lock-up in Coleshill Street.